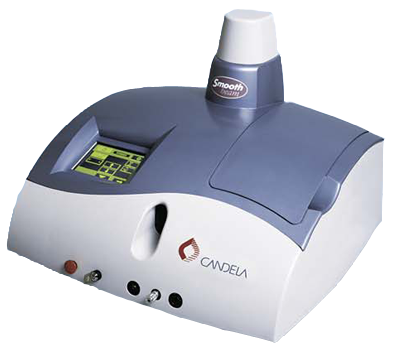 Thanks to the Candela Laser Corporation, the world’s most trusted name in aesthetic laser technology, the Smoothbeam laser system represents the new treatment of choice for many age-old skin problems including wrinkles, crows’ feet, lip lines, sun-damaged skin and acne scars. Smoothbeam Treatment Renews Skin While Protecting It . . . An integral part of the LASR process incorporates the use of a (DCD) Dynamic Cooling Device. DCD protects the skin by automating the delivery of a cool, cryogen spray to protect the treated area of skin. As it cools, it protects the skin making our Smoothbeam treatment comfortable. What Skin Conditions does the Smoothbeam laser treat? Smoothbeam helps to renew skin by stimulating the generation of new collagen formation of the skin. Who is a good candidate for skin renewal laser treatment with Smoothbeam? You are a good candidate for Smoothbeam treatment if you want to start a “Fitness” program for your skin or you are seeking to postpone more aggressive treatment, such as surgery. 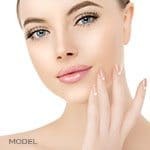 Smoothbeam laser treatment is a new, noninvasive way to treat your skin.The laser employs a revolutionary, patented laser process with DCD™ (Dynamic Cooling Device), which targets and heats collagen in the upper dermis while protecting the epidermis. 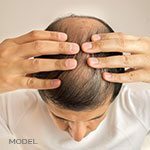 How long does a Smoothbeam treatment take, and how many treatments will I need? A typical treatment will take between 10 and 30 minutes. Depending on the degree of aggressiveness you and your doctor decide on, your treatment can be a “lunchtime”procedure, in which you can go right back to work, or more aggressive treatment, in which there will be a brief recuperative period.Consult with your physician about your treatment schedule and interval between subsequent treatments. What will the procedure itself be like? You and your doctor will wear safety glasses to protect your eyes during the procedure.The doctor will use a small handpiece with a probe that touches your skin to deliver the laser light.You will feel the light spray of coolant onto your skin just before each laser pulse. Is there any pain involved in laser treatment with Smoothbeam? Because the laser’s Dynamic Cooling Device is so effective, many patients report the procedure as “mild,” with little more than a slight snapping or tingling sensation. Of course, pain is subjective, and topical anesthetics can be used if the patient wishes. Although results vary, you should discuss your expectations with your doctor. Several treatments may be required, depending on anatomical location and the extent of desired results. Avoid sun exposure for 4-6 weeks before treatment, and again after treatment until your physician allows it. Care should be taken in the first few days following treatments to avoid scrubbing or rinsing the treated area with abrasive skin cleansers. Are there any side effects to treatment with Smoothbeam? In general, most procedures have a low risk of side effects.More aggressive treatments might induce some temporary discoloration or reddening of the skin. Some patients might experience pigment changes in skin color. If this occurs, the skin will typically return to normal pigmentation over time. Most insurance companies do not offer reimbursement for cosmetic procedures; however, you should consult your insurance provider for specific information.